CarGurus has 5,926 nationwide Cayenne listings starting at $3,500. The high-end and well-reviewed Porsche Cayenne midsize SUV rolls into 2017 with a few minor updates but remains essentially unchanged. 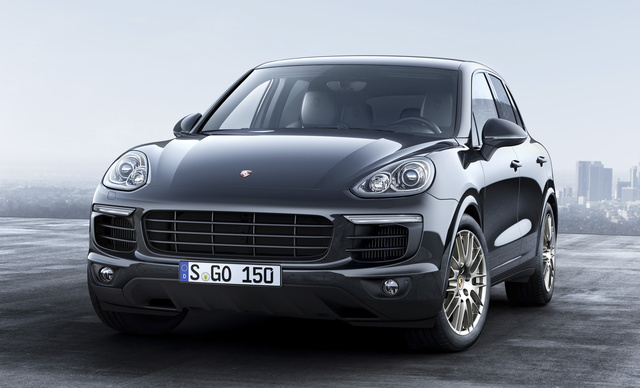 Currently at the tail end of its second generation, the luxury-oriented Cayenne continues to come in a variety of trims with a choice of engines, including the Base Cayenne, the Cayenne S, the Cayenne S E-Hybrid, the Cayenne GTS, the Cayenne Turbo, and the Cayenne Turbo S. For 2017, Porsche offers the Base Cayenne and the S E-Hybrid in new Platinum Editions, available for a limited time. 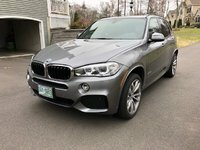 Both feature a number of enhancements, including a high-gloss black exterior trim package, exclusive 20-inch satin platinum Spyder Design wheels, and adjustable leather sport seats with Alcantara center panels. In addition, Porsche equips all 2017 Cayennes with a new premium infotainment system, which they share with the 2017 Porsche 911. The new Platinum Edition package nicely dresses up the current Cayenne, giving it a sportier appearance, aided in part by extended wheel wells that were widened to accommodate the larger tires. Owners can choose from solid black and white exterior paint finishes, as well as optional Deep Black, Purpurite, Mahogany, Carrera White, or Rhodium Silver metallic paints. The package also includes automatically dimming anti-glare exterior mirrors and HID headlights with the automaker's Dynamic Light System, which adjusts the range of the beam depending on driving speed and provides more uniform illumination of the road ahead. Inside, Platinum Editions get a unique multifunction sports steering wheel, heated front seats, a 665-watt Bose Surround Sound audio system, and front and rear Park Assist, in addition to the 8-way power-adjustable leather sport seats with the Porsche crest embossed in the headrests. Stainless steel door sills with illuminated Platinum Edition lettering provide a finishing touch. All 2017 Cayennes now come equipped with an updated Porsche Communication Management (PCM) infotainment system. A welcome addition to the standard Cayenne package, it replaces the previous system, which many reviewers thought was outdated. The system includes a new 7-inch multi-touchscreen, which responds to hand movements, as well as Bluetooth, an iPhone interface, two SD card readers, and an internal hard drive, which Porsche refers to as the jukebox. The voice-activated navigation module provides real-time traffic information and displays Google Earth and Streetview images. According to reports, Porsche is already road-testing the next-generation Cayenne, tentatively scheduled to debut for the 2018 model year. The third-generation Cayenne will reportedly ride on a new, lighter platform and will receive some exterior resculpting, a number of tech, performance, and suspension improvements, and better fuel economy. Until then, the current Cayenne continues to display a sleek, stylish exterior shape that doesn't seem too dated, despite the fact that it first appeared in 2011. Its look remains windswept and athletic, with a low, aggressive stance, a short nose, a long cabin line, and an attractive rear end with a powered liftgate. The power dome hood, heated power mirrors, LED taillights and daytime running lights, and integrated twin dual-tube exhaust pipes are among the standard exterior features. Power for the Base Cayenne continues to come from a 3.6-liter V6 engine generating 300 hp and 295 lb-ft of torque. It drives the SUV from 0-60 mph in about 7.3 seconds. While those numbers certainly sound adequate in just about any other vehicle in its class, some reviewers say the base V6 feels underpowered at times for a Porsche. Owners seeking a peppier ride will want to opt for the 3.6-liter twin-turbo V6 in the Cayenne S, which pumps up horsepower to 420 and torque to 406 lb-ft, while reducing the 0-60 time to 5.2 seconds, or a tweaked version of the same V6 in the Cayenne GTS, which gooses those numbers to 440 hp and 442 lb-ft, while shaving an additional .3 seconds off the 0-60 time. At the top of the heap performance-wise sit the Cayenne Turbo and Turbo S, both with 4.8-liter twin-turbo V8s under their hoods. The Turbo's powerplant cranks out numbers of 520 hp and 553 lb-ft of torque, good for a 0-60 time of 4.2 seconds. The Turbo S, with its tweaked engine, ups those numbers to an impressive 570 hp and a whopping 590 lb-ft of torque. The Turbo S remains the fastest Cayenne, with a 0-60 time of 3.8 seconds. The Base Cayenne, with its entry-level V6, posts a top speed of 142 mph, while the powerful Turbo S boosts that to 176 mph. All V6 and V8 Cayennes come equipped with an 8-speed Tiptronic S transmission with a start/stop function and steering-wheel-mounted shift controls. Porsche does not offer a manual shifter for the Cayenne. However, the automaker does offer an optional Sport Chrono package for all trims except the Turbo S. This package features a Sport Plus mode that makes the engine more responsive and shaves a tenth of a second off each vehicle's 0-60 time. Fuel economy numbers for the Cayenne range from 19 mpg city/24 highway for the Base Cayenne to 14/21 for the Turbo. Owners seeking better fuel economy from of their Cayennes should opt for the S E-Hybrid trim, which can travel in both electric and gas-powered modes, thanks to its 95-hp electric motor and 333-hp 3.0-liter V6 gas engine, which produce a combined 416 hp and maximum torque of 435 lb-ft. The hybrid accelerates from 0-60 in a respectable 5.4 seconds, while speed tops out at 151 mph with the combined powerplant and 78 mph in electric mode. The powerplant posts combined fuel economy numbers of 47 mpg-e. The S E-Hybrid includes such features as recuperative braking, a 10-kWh lithium-ion battery, an E-Power button for improved economy, and a Sport button for improved performance, as well as the Tiptronic S transmission. Inside, the Cayenne's luxurious 5-passenger cabin exudes a traditional Porsche feel, thanks to such standard features as supportive 8-way power-adjustable front seats with memory settings, dual-zone climate control, a split/folding rear bench seat with fore and aft adjustment, a leather-wrapped multifunction sport steering wheel, and silver and high-gloss black interior trim. The Base Cayenne, Cayenne S, and S E-Hybrid receive partial textured leather upholstery, while the GTS and Turbos get full leather upholstery. The S and Turbo trims include stainless steel pedals, while the Turbo and Turbo S receive 18-way adjustable adaptive sport seats, heated front and rear seats, and an Alcantara roof lining. Owners will find plenty of headroom and legroom throughout the Cayenne, thanks in part to the sliding rear seat. While some reviewers complain about the Cayenne's cargo capacity, which checks in at 23.6 cubic feet behind the second row and 62.9 cubic feet with the rear seat folded down, it's comparable to competitors like the BMW X5, which offers 22.9 and 66 cubic feet, respectively. The Lexus RX 350 posts even lower numbers, at 18.4 and 56.3 cubic feet, respectively. The Cayenne rides on an all-wheel-drive platform with Porsche's Stability Management system, Traction Management system, and Trailer Stability management system included as standard equipment, along with 18-inch wheels. The GTS upgrades to an air suspension system with self-leveling and height adjustment, as well as 20-inch wheels, while the Turbo and Turbo S ride on the same air suspension with 21-inch wheels. All Cayennes are well equipped with a wide range of safety features, including six airbags and performance ABS brakes. All in all, the Cayenne continues to deliver an impressive package, and most agree it's well worth its premium cost. With a new generation coming soon, savvy buyers might be able to get their hands on a current-generation model at a clearance-sale price. What's your take on the 2017 Porsche Cayenne? Users ranked 2017 Porsche Cayenne against other cars which they drove/owned. Each ranking was based on 9 categories. Here is the summary of top rankings. Have you driven a 2017 Porsche Cayenne? My 2014 Porsche Diesel S sounded fantastic (low rumble when going slow) I traded in for a newer 2017 version but it just doesn't sound the same. Is this due to the Adblue system perhaps? How Can I Put In The Interior Color Package In The Search? Selling slowly 139 days at this dealership 159 days on CarGurus Where and by whom was this car listed for the first 20 days?